Bolingbrook Dermatology (Bolingbrook) - Book Appointment Online! 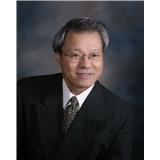 Welcome to the office of Dr. Tehming Liang, a leading dermatology practice in Bolingbrook, IL. We understand the importance of good skin care and are committed to providing you with high-quality care in a pleasant and professional atmosphere. Whether we’re addressing your skin cancer concerns or informing you of the latest cosmetic procedures, our top priority is to ensure that your experience with our practice is second to none. We recognize that every patient has different needs, and we pride ourselves in the courteous service we deliver to each person who walks through our doors. Your skin deserves the best and we thank you for choosing us to help keep your skin healthy and beautiful for years to come.